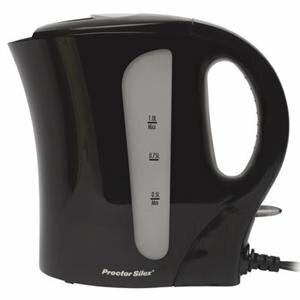 The Excellent Quality PS Electric Kettle Black - This One Liter Electric Kettle from Proctor-Silex features a drip free spout, automatic shutoff, boil-dry protection, dual water windows and lighted On/Off switch with auto shutoff when water boils. It is faster than a microwave and safer than a stovetop kettle. Black.